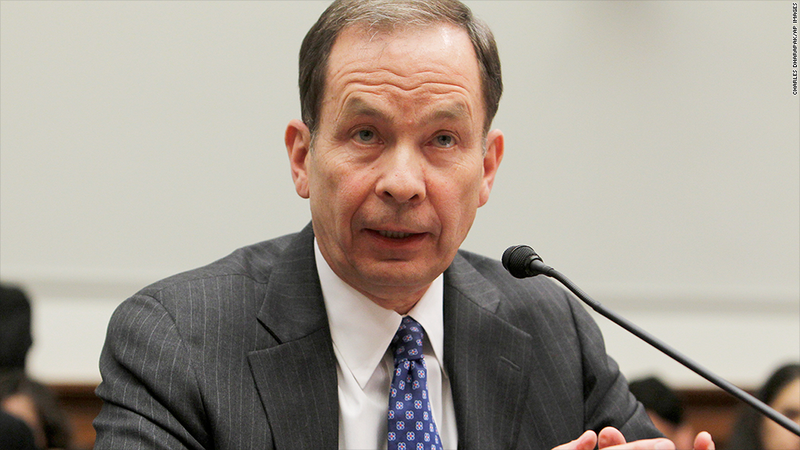 Former federal Anton Valukas was commissioned by General Motors to prepare the report. General Motors employees had a practice of avoiding words that could prompt more scrutiny from federal regulators, according to an internal investigation made public on Thursday. The report examines GM (GM)'s decade-long delay in recalling millions of vehicles with a fatal ignition switch flaw. The issue caused some vehicles to stall, disabling power steering, anti-lock brakes and airbags. According to Thursday's report, an initial draft of a service bulletin regarding the ignition problem said the cars could "stall." But the actual bulletin sent in December 2005 to dealers and to NHTSA, the federal agency that regulates the auto industry, didn't contain the word "stall." It advised dealers of the "potential for the driver to inadvertently turn off the ignition due to low ignition key cylinder torque/effort." "The term 'stall' is a 'hot' word that GM generally does not use in bulletins because it may raise a concern about vehicle safety, which suggests GM should recall the vehicle, not issue a bulletin," Valukas wrote, citing the quality manager who drafted that bulletin. "Others at GM confirmed there was a concern about the use of 'stall' in a (bulletin) because such language might draw the attention of NHTSA," Valukas wrote. The word "stall" was stripped from the bulletin by product investigators, according to the report. Employees feared reporting problems: General Motors had a culture that did not reward -- and even discouraged -- employees who raised safety concerns. Some reported "resistance or reluctance to raise issues or concerns," sometimes out of concern the vehicle development timeline would be slowed. "A small number of participants also suggested a fear of retaliation," the report notes. Engineers didn't understand what they were seeing: GM CEO Mary Barra acknowledged that divisions and functions within the company were siloed. The report found that engineers were also slow to connect what they saw in stalling crashes with the defective ignition switch. For years, engineers "did not understand the relationship between airbag non-deployment and the ease with which the Ignition Switch could be rotated to Accessory." Some employees were also unaware of what was in the company's own files, such as a 2007 police report on a GM crash that posited a connection between the ignition being switched off to the airbag non-deployment. But company "lawyers and engineers working on airbag non-deployment cases did not learn of its existence until a few months ago." Lack of leadership on safety: GM employees were given two conflicting messages, the report found: "when safety is at issue, cost is irrelevant" and "cost is everything." It also says employees "were overworked" because of staffing reductions. Warranty vs. safety issue: One of Barra's predecessors was made aware of the stalling issue in 2009. But it didn't paint a picture of a safety issue. Instead, this portion of a presentation "focused solely on warranty cost reduction." The report said it did not "mention airbag non-deployment, accidents or fatalities." --CNNMoney's Amanda Hobor contributed to this report.